Losing large volumes of weight to cure obesity isn’t easy, but thanks to technological advancements, it is more possible than ever. The laparoscopic sleeve gastrectomy procedure is the ultimate permanent solution for treatment-resistant morbid obesity. When is the Laparoscopic Sleeve Gastrectomy Procedure Advisable? If you were diagnosed with ‘morbid obesity’ but still struggle to stimulate an adequate progression of weight loss, (despite serious attempts to lose weight with medications, diets, exercises, and supervised in-patient treatment,) this procedure can save your life. Patients diagnosed with morbid obesity have a Body Mass Index (BMI) of 40 or more. However, BMI alone is not an indication of obesity because some people retain a heavier natural body mass than others. They may have higher bone or muscle tissue density if they are otherwise healthy and active. Did you know that muscle cells are five-times the weight of fat cells? 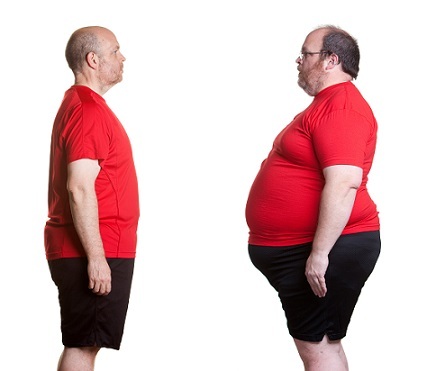 Thus, it is possible for someone with a BMI of 40 to look one-fifth the size of others with the same BMI. Making this even more complicated, is the fact that an enormous amount of muscle doesn’t equate to good health because “muscle quality” is the critical inquiry. Quality muscle has a high strength and energy to size ratio. Nevertheless, you should not rely solely upon BMI calculations and gross speculations that you are morbidly obese and a prime candidate for the chronic ailments associated with it. Patients considered morbidly obese are at high risk of developing hypertension, diabetes, gastroesophageal reflux disease (GERD), gallstones, osteoarthritis, heart disease, sleep apnea, and cancer, amongst others. The laparoscopic sleeve gastrectomy procedure is less invasive than (non- laparoscopic) open stomach surgeries. It is, therefore, particularly suited for patients with uncontrollable diabetes or other conditions who have difficulties with healing after surgery or complications. However, it is a permanent solution that should be limited to situations where a gastric bypass or temporary gastric band may be risky or ineffective. 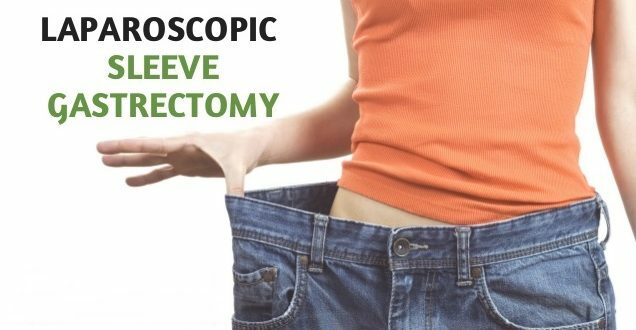 The goal of the laparoscopic sleeve gastrectomy procedure is to vertically divide the stomach into two parts and to reduce its size by up to 90-percent. The stomach is then shaped into a sleeve or banana shape and stapled into the new form. The excess stomach material is permanently removed. The result is a fundamental limit on food intake that makes you feel fuller, quicker but that does not, however, disrupt the normal digestive process. A gastric bypass surgery, by contrast, changes the manner in which the body digests food. When it comes to any kind of surgery, laparoscopic is generally the preferred method because it involves fewer complications regarding infection, pain, recovery time, and scarring. As few as 5 or 6 tiny incisions in the abdomen is all it takes for our specialist English-speaking surgeon to maneuver surgical instruments and a laparoscope camera into place for precise visibility. The surgeon will be able to zoom in with fine detail on the areas where she is working while maneuvering with precise surgical instruments. Her years of education, experience, and five-star medical assistants ensure world-class care. As with all medical treatments, some risks are involved and postoperative care is critical to the success of this procedure. Patients must follow a proper diet and exercise routines to attain success. Compared with other surgeries, patients are far less likely to experience a phenomenon called dumping syndrome. Dumping syndrome occurs when foods, especially sugar, are transferred to the small intestine too quickly and cause cramping, pain, nausea, vomiting, diarrhea, etc. Like any surgery, there are important post-operative care instructions to follow and some medication to take, easily controlling any discomfort you may face in the days following treatment and limiting the possibility of infection and complications. If the Laparoscopic Sleeve Gastrectomy Procedure is something you may be interested in, please contact us to ask any questions you may have or set up a consultation appointment with our specialist.